Sennheiser HD 650 Headband Headphones - Titan. Shipped with USPS Priority Mail. 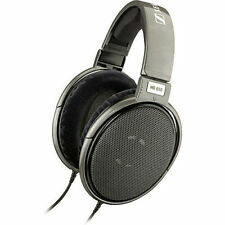 Sennheiser HD650 Reference Class Stereo Headphones - Gray. Condition is Used. Shipped with USPS Priority Mail. Used once. Excellent condition. No box. Like all headphones in Sennheiser’s HD 600 line, this new model can be disassembled by hand to its component parts, all of which can be easily replaced. If you know audio gear, you know the Sennheiser HD 650. Used since 2011. Marks and paint chipping on top of the headphones. Minor ding on speaker grill. Cable is in good shape. Earpads were replaced 1 month ago. Model: HD650. In the Sennheiser HD 650, audiophiles will experience truly unique natural sound. The Sennheiser HD 650 is a genuine masterpiece, which will satisfy even the most demanding listener. Make: Sennheiser. These HD-650s have been well taken care of. They include the original packaging, documentation, 1/4” cable, 1/4” to 3.5mm, 5 foot balanced XLR cable with Neutrik connector. I am selling these because it was time to try headphones with a different sound. Please feel free to ask any questions. Thank you. 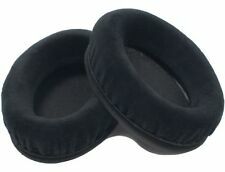 Sennheiser HD 650 Headband Headphones with case. Condition is Used. Shipped with USPS Priority Mail. I purchased these headphones new and stored them in a smoke-free space. Original boxes and manual are included. 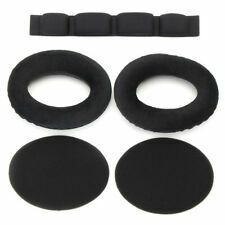 I’ll even throw in a Sennheiser headphone holder with padded cradle (as featured in pictures). Great condition. A little dust on the fabric. Used sparingly and lovingly. 100% positive feedback. Bid with confidence. Because of these reasons the HD 650 headphones, the 3.5mm adapter, instruction manual, and box have all stayed in fantastic condition. This headphone is an authentic Sennheiser HD 650 and was manufactured in Ireland. *NEW* Sennheiser HD 6XX (HD 650) Limited Edition Massdrop Headphones. Condition is New. Ships within 1 day! Massdrop x Sennheiser HD 6XX Headphones. Massdrop x Sennheiser. Like all headphones in Sennheiser’s HD 600 line, this new model can be disassembled by hand to its component parts, all of which can be easily replaced. Limited Edition Massdrop. Massdrop x Sennheiser. Sennheiser HD 6XX (HD 650) Open Back Headphones. Updated version of the HD 650. Cable length: 6 ft (1.8 m). Nominal impedance: 300 ohm. THD: < 0.05%. Frequency response: 10 Hz – 41 kHz. Sennheiser HD 650 Headband Headphones - Titan. Shipped with USPS Priority Mail. Wow! I hate to get rid of these but they’re up for sale. Excellent condition, open box, tested for working order, only. Spectacular sound.. look them up, reviews speak for themselves. Bought in February 2019, through Sweetwater. Didn't use much at all. Mostly sat on my desk. I don't have a powerful amplifier and I'm not an audiophile so don't really need it. My loss is your gain. See pictures. Sweetwater is an Authorized Sennheiser Dealer. Sennheiser HD 650 Open-back Audiophile and Reference Headphones. With the Sennheiser HD 650s, audiophiles will experience truly unique natural sound. The HD 650s are a genuine masterpiece that will satisfy even the most demanding listener. Gently preowned with minimal wear. 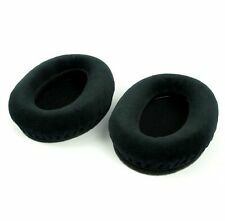 minor fuzz on the ear cup cushions. this is sennheiser’s regular version. includes headphones with attached rca cable, rca-3.5mm adapter, user manual, box case, and box itself. With the HD 650, audiophiles will experience truly unique natural sound. The HD 650 is a genuine masterpiece, which will satisfy even the most demanding listener. HD 650 the Reference Class. Learn more about the HD 650. Sennheiser HD 650 Headband Headphones - Titan. ***NOT MASSDROP*** Condition is New. Shipped with USPS Priority Mail. The audiophile HD 650 is the ultimate in open, dynamic headphone design. Developed from the award-winning HD 600, the HD 650s feature improved materials for even better sound reproduction. Enjoy sound in perfection! sennheiser hd 650 new unopened box. Condition is New. Shipped with USPS Priority Mail. From the fragile intimacy of a whispered word to the deep and dark punch of an attacking bassline. Why Sennheiser ?. With the HD 650, audiophiles will experience truly unique natural sound. The HD 650 is a genuine masterpiece, which will satisfy even the most demanding listener. Free Priority Mail Shipping in USA with Buy It Now! Manufactured by Sennheiser. Popular Upgrade cable for Sennheiser models: (HD650), HD600, HD580, HD265, HD535, HD545, HD565. 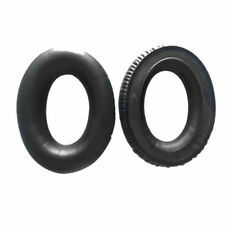 Reported benefits are improved sound and better durability. New open box item. Never Used. Hand-picked components, special acoustic materials and exceptional engineering make these headphones an audiophile's dream. In the HD 650, audiophiles will experience truly unique natural sound. The HD 650 is a genuine masterpiece, which will satisfy even the most demanding listener. Lightweight aluminum voice coils for very fast transient response. Sorry, No Exceptions. Sennheiser HD 650 Titanium Professional Studio Headphones 1/4"
This listing is for the Sennheiser HD-650 professional headphones in original box. These appear to have never really been used. They are in like new condition. Please contact if you have any questions. Thank you for looking. WE ARE ANAUTHORIZED SENNHEISER DEALER! High-end cable for HD 600 and HD 650 headphones, optimally matched to HDVD 800 and HDVA 600 headphone amplifiers. Plugs: 4pole XLR / 2 Mini Plugs. Cable length: 3 m.
The head cushion is in good condition. Condition : Used. 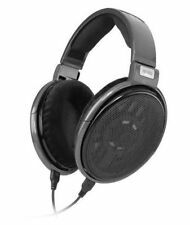 Sennheiser Headphone Open Type Hd 650 [Genuine National]. High-Resolution Sound Quality, High-Quality Model To Reign As The Best Model Of The Dynamic Type Headphones To Both Wearing Feeling! Our Products are 100% Authentic. Sennheiser HD 660 S Audiophile Headphones. Sennheiser’s newHD 660 S is the ideal open, dynamic headphone for the passionate audiophile. It is exceptionally accurate. Authorized Sennheiser Dealer . Reference class open dynamic wired headphones. The audio end result is improved detail clarity at all frequencies with superior transparency and better musical fidelity. Dead Quiet. Dead Serious’ audio performance. Cardas eutectic solder throughout. Needing to find a short, straightforward headphone cable for your Sennheiser cans with a plug to fit a recessed 'mini' 3.5 mm jack on your headphone amp, smartphone or tablet case?. • High-End Eidolic 4.4mm TRRRS Connector. Product SKU: SENN-HD 451. Subwoofer enclosures are not covered by Techronics' warranty. Burnt voice coils. All defective products will be covered under warranty except the following All products are covered by Techronics ' warranty. Corpse Cable for SENNHEISER HD 650, HD 600, HD 6XX HD 660 S / 4-Pin XLR / 6ft. Needing to use a shorter headphone cable for your Sennheiser cans with a quality 4-pin XLR to fit your balanced headphone amplifier?. Cardas quad eutectic solder throughout. Our dark blacked-out Mogami 2893 4ft cable design is highly flexible and, of course, ‘Dead Accurate’, ‘Dead Flat’ and built to last until you're six feet under! Dead Quiet. Dead Serious’ audio performance. 25 FT SENNHEISER HEADPHONE XLR CABLE HD600 HD650 HD6XX HD660S CANARE CARDAS.